Jeff Kemp is a champion for strengthening relationships, trust, and teamwork. 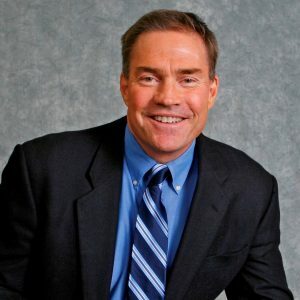 His message and coaching bring honesty, realism, and hopeful vision to organizations, businesses, and families seeking to turn life’s troubles into triumph and build successful teamwork and lasting success. Jeff learned leadership in his home and from Hall of Fame San Francisco 49er coach Bill Walsh, business teamwork paradigms from teamwork authority Pat Lencioni, and relationship skills from dozens of experts over three decades dedicated to helping relationships thrive. After graduating from Dartmouth College, he entered the NFL as an undrafted free agent. He and his dad, the late Secretary of Housing and Urban Development Jack Kemp, became the first of only six sets of NFL father-son quarterbacks. Growing up, Jeff was surrounded by football, politics, and national leaders. In his 11 NFL seasons, Jeff quarterbacked for the Los Angeles Rams, San Francisco Forty-Niners, Seattle Seahawks, and Philadelphia Eagles. In the off seasons, he earned his MBA from Pepperdine University, focused on speaking, and campaigned for his dad’s presidential nomination. Jeff’s football career was a rollercoaster, traveling from fourth string to first string, from the bench to the playoffs, and from winning to getting traded. He’s beaten the blitz on Monday Night Football and been cut midseason as a starting QB. He helped his teams and teammates both on and off the field. Those highs and lows and epic team experiences set the stage for a career of serving others and helping people from all walks of life overcome adversity. After the NFL, Jeff aimed to improve the lives of children by virtue of strengthening marriages and families. He founded and led Stronger Families for eighteen years then served as a Vice President and Catalyst at FamilyLife, an international leader of nurturing marriages and families. Jeff’s sweet spot is casting vision and uniting teams. He has delivered presentations to more than 1,200 audiences, including IBM, Northwestern Mutual, American Petroleum Institute, Young Presidents Organization, and Interstate Battery. Jeff has keynoted hundreds of non-profit group events such as governor’s prayer breakfasts, Athletes in Action Super Bowl breakfasts, men’s retreats, and the Billy Graham Crusade. Facing the Blitz- Three Strategies for Turning Trials into Triumphs was released in 2015. People remark that Jeff’s transparent stories, metaphors, and concepts are powerful, easy-to-remember, and actionable. With self-deprecating humor and vulnerability, Jeff helps people embrace change, serve others, and turn problems into positives. Early in his NFL career, Jeff married Stacy. They have four sons, four daughters-in-law, and one grandson. They love to mentor young couples, play tennis, ski as a family, and speak for the FamilyLife Weekend to Remember marriage getaways. Jeff is available for speaking events of all kinds including men’s events, marriage conferences, corporate meetings, pro-life events, and worship services. A football blitz is an attack to force the quarterback into a mistake and create mayhem. But a blitz also creates an opportunity for the quarterback, as it leaves holes in the defense. What looks like the worst play can become the best play. During a life blitz--financially, relationally, spiritually, or physically--by taking initiative you can do more than just survive. You can grow, succeed, and advance. Jeff shares lessons learned through all kinds of blitzes. He teaches how life is about transformation and being others-oriented, and how having the right mind-set can turn fear and misery into courage, growth, and joy. Includes end-of-chapter questions.